Throughout history, inventors such as Nikola Tesla have shaped the world as we know it. Although most inventors do honest work, there are also those who have tried to earn money by stealing other people’s inventions or by tricking people into giving them money for fake inventions. Harry Grindell Matthews was one of those who built himself a sorry reputation by deceiving people about the validity of his inventions. Harry Grindell Matthews, born on March 17, 1880, in Winterbourne, Gloucestershire, studied to become an electrical engineer. His career as an inventor started several years after the Second Boer War, during which he’d served as part of the South African campaign and been wounded. Because of his war service, the British government looked favorably on his work and he often had the chance to present his inventions to government officials. At least this was the case before people started noticing anything suspicious about his work. One of Matthew’s first inventions to attract attention was a so-called Aerophone that he created in 1911. This was supposed to be a radio-telephone able to transmit messages between a ground station and a plane. Matthews claimed that his invention allowed him to transmit a message at a distance of two miles. The government became interested, and in 1912 they asked Matthews for a demonstration. He agreed but demanded that no experts in the field be present during the demonstration. However, the government was determined to see the insides of Matthews’ machine and sent four people to dismantle it and take notes. Matthews immediately canceled the demonstration after he saw people poking the device. He informed the media, and they took his side. The government later stated that it was a misunderstanding between themselves and Matthews. Matthews’ next invention wasn’t as controversial, and it actually worked. In 1914, at the beginning of the First World War, the British army needed new technology to deal with modern warfare. They offered a reward of £25,000 to the inventor who could create either a weapon that could destroy zeppelins or a remotely controlled, unmanned vehicle. Matthews started working on the second idea, and soon he created a system based on selenium cells that could remotely control a boat. After a successful demonstration, the Admiralty gave him the reward, but his invention was never put to practical use. In 1921, Matthews appeared again with a new claim: the world’s first talking picture. He allegedly made a recording of Ernest Shackleton giving an interview before his last expedition. This claim of being first is disputed because there were other sound recordings on film that were made before Matthews’. Matthews’ most popular “invention” was probably his 1923 claim that he’d managed to create an electric death ray capable of neutralizing machine engines. After announcing his claim, Matthews selected a group of journalists and made a spectacular demonstration in front of them: He stopped the engine of a moving motorcycle from a distance, wirelessly. Grindell didn’t stop there; he made wild claims that if his “death ray” machine was provided with enough power, he could stop airplanes in mid air, put a halt to ships, or even light and explode gunpowder. Newspapers were hungry for stories like this and immediately published everything he said. Soon Matthews was in the sights of the government again. In 1924 they wanted to see his death ray in action. Matthews didn’t respond directly, instead he made another demonstration in front of some journalists in which he ignited gunpowder from a huge distance. He again refused to explain how the machine actually worked. The government wasn’t convinced. They decided not to buy his idea without the necessary checks. Hearing this, Matthews informed the government that he had received an offer from France. They weren’t too happy to hear about this, even if they suspected that Matthews was a liar. The government was determined to see his machine in action and somehow persuaded Matthews to set up a demonstration in front of army officials. In his laboratory, Matthew used the machine to turn on a light and stop an engine. The army was still not convinced and suspected that Matthews was somehow tricking them into believing that his death ray was genuine. They wanted more proof, but Grindel refused. Just to be on the safe side, the High Court in London made a decree that stopped Matthews from selling the death-ray patent to other interested parties. In the meantime, the government was preparing a new deal, but it turned out they were too late. When they came to make him a new offer at his laboratory, he was gone, already flown to France. Matthews’ death ray machine inspired many other aspiring investors to try and make their own versions. The army was soon flooded with a variety of non-functional death-ray patents, while the newspapers continued supporting Matthews. The British government asked Matthews one more time for cooperation. They asked him to demonstrate his death ray stopping a motorcycle under conditions determined by the air force. If this experiment were successful, he would receive £1,000. 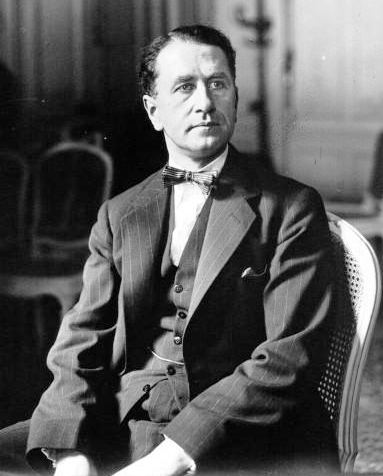 Matthews replied in a letter from France in which he stated that he wasn’t interested and that he was entertaining eight other offers for the death ray. Besides the government, Matthews received an offer from Sir Samuel Instone and his brother Theodore. They promised him a big salary if he could prove that it really worked and if he decided to keep the device in Britain. Matthews refused again, without giving any proof, simply saying that it worked. Nobody was convinced, except the newspapers. On June 1, 1924, Matthews returned to London, and the only demonstration he made of the death ray was within a Pathé film called The Death Ray. The machine seen in the movie was completely different from the one shown to army officials. The following month, the inventor arrived in the United States hoping to sell his invention. He was invited to show the effectiveness of his device during the Radio World Fair at Madison Square Garden and offered $25,000. Typically, Matthews refused. An American scientist stated skepticism about Grindell’s invention, and another even volunteered to stand in front of the death ray to prove that a hoax. Matthews returned to Britain for a brief time and informed people that in American he’d sold his machine. Soon after this, he returned to the United States and started working for Warner Bros. 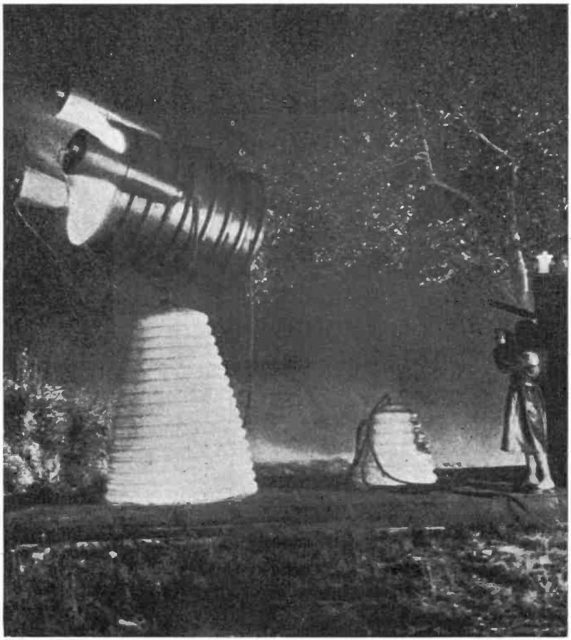 In 1930, several years after the whole ordeal of the death ray was almost forgotten, Matthews emerged with another invention called the Sky Projector. His projector was actually able to project images on clouds. In Hampstead, England, Matthew sprojected the words “Happy Christmas” and a clock face. He did the same in New York later, but his projector wasn’t very popular. In 1931 Harry Grindell Matthews was left bankrupt as nobody would back him anymore. After a few other unsuccessful inventions and claims (such as a submarine detection device and aerial mines), in 1938 Matthews married Ganna Walska, a famous Polish-American opera singer, and acquired the fortune from her previous husbands. Matthews did attempt to get back into the invention business, but his bad reputation always preceded him. Matthews died from a heart attack on September 11, 1941.